"It's like Wing Commander in 2D!" 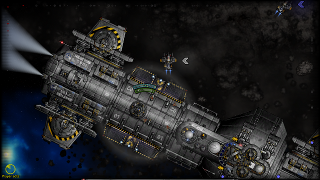 single-player Retro 2D-Science-Fiction-Shooter with modern physics. 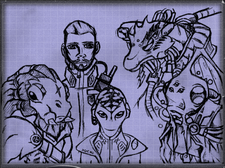 In NOS, the player experiences a cosmic conflict between four powerful races, taking the role of different heroes. In 54 challenging missions, reaching from manageable duels to large combats, the player controls a variety of vessels and has to go all out to improve his skills to master them all. We are planning to successively release different game modes.The Story and Arcade Mode will be available for the early access release. The main, and therefore first mode, will be the story mode. It consists of a tutorial and six campaigns with nine missions each, telling the story of four different races getting into a cosmic conflict. The second one will be an arcade mode, which provides a variety of instant action battles. The third and last one will be the mercenary mode, which will be available as DLC. In this rogue-like mode, the player takes the role of a rookie mercenary and can choose between different, procedurally generated missions. During these, the player has a chance of recovering wrecks of ships and weapons, which he then can repair and use to improve his equipment or scrap to gain resources. The Editor, which will be available as DLC as well, will allow the player to create his own campaigns and missions for the Story and Arcade Mode.